How to obtain copies of Alabama vital records, such as Alabama birth certificates, Alabama death records, Alabama marriage licenses & Alabama divorce decrees. See the guidelines for general information on how to order vital records. Check the related links for additional vital records and genealogical information on Alabama. Expedited service is available by calling (334) 206-5418 and paying by major credit card. Most of their information comes from census records. For birth records less than 125 years old you have to be immediate family or have written permission from the next of kin in order to obtain these records. For death records less than 25 years old you have to be immediate family or have written permission from the next of kin in order to obtain these records. Autauga . Baldwin . Barbour . Bibb . Blount . Bullock . Butler . Calhoun . Chambers . Cherokee . Chilton . Choctaw . Clarke . Clay . Cleburne . Coffee . Colbert . Conecuh . Coosa . Covington . Crenshaw . Cullman . Dale . Dallas . DeKalb . Elmore . Escambia . Etowah . Fayette . Franklin . Geneva . Greene . Hale . Henry . Houston . Jackson . Jefferson . Lamar . Lauderdale . Lawrence . Lee . Limestone . Lowndes . Macon . Madison . Marengo . Marion . Marshall . Mobile . Monroe . Montgomery . Morgan . Perry . Pickens . Pike . Randolph . Russell . Shelby . St. Clair . Sumter . Talladega . Tallapoosa . Tuscaloosa . Walker . Washington . Wilcox . Winston . 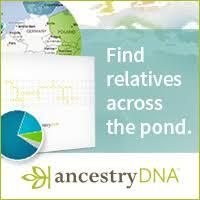 You�ve decided that it�s time to get started on your family tree � good for you! Many times people begin to start thinking about putting together a family tree when they get older or when they start a family. They realize that they want their family members to know where they came from, and often the person themselves is curious about where they came from. It can be extremely intimidating to think about starting a family tree because, quite honestly, a lot of work can go into making one. But if you find the right websites to help you, and if you actually learn about your family from the research, the time you spend doing it can be a joy instead of being torture. Before you begin looking for any Alabama vital records, you should start by first getting all of the information about your family as it currently exists. Begin by writing down your name and, if you have a spouse, their full name as well. If you have any children write them down underneath your name and the dates when they were born as well. Then move on to your parents. Now here�s where it gets tricky: you�ll need to start by writing about just one side of the family at a time. If you write about both sides you�ll quickly find that you get confused about who is who. Instead pick a side, such as your mother�s side or your father�s side, and start filling in information. You�ll also have to decide if you want to write about all of the siblings your family has or if you just want to list them under the names of the parents. If you write about every siblings and follow each and every family tree, you may find that you�ve taken on more than you can handle. Instead try just writing about the basic people at first. Now it�s time to start digging up some records to help you. Getting things like Alabama birth certificates and Alabama death records is not only a great way to keep organized, but it can also help you to make your tree a bit special. How many family trees do you know of that have birth and death certificates attached to them? Both of these types of documents can be a great way to embellish your family tree. But how can you find things like Alabama birth certificates and Alabama death records? All Alabama vital records are kept in one location: the vital records location. This is actually a good thing for anyone who is trying to access the records because all you have to do is to go online to the right website and all of these public records will be at your fingertips in an instant. This makes creating your own family tree much easier than you may believe, so what are you waiting for? Get started building your family tree!